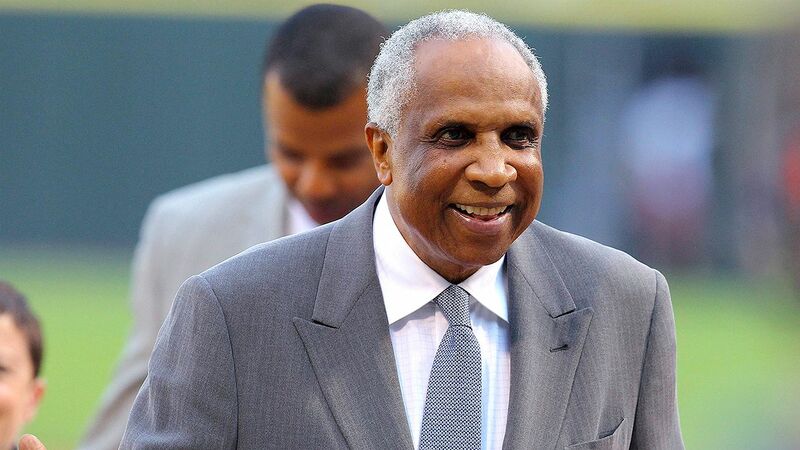 Frank Robinson, the first black manager in Major League Baseball and the only player to earn the MVP award in both leagues and a Triple Crown winner, died Thursday at 83. He had been in failing health and in hospice care at his home in the Bel Air section of Los Angeles. MLB said he was with family and friends at the time. Robinson hit 586 home runs — he was fourth on the career list behind only Hank Aaron, Babe Ruth and Willie Mays when he retired and now ranks 10th. He was the MVP with Cincinnati and Baltimore, and led the Orioles to their first World Series championship in 1966. Robinson became the first African-American manager in the big leagues when he was hired by the Cleveland Indians in 1975. The Indians opened at home that year and Robinson, still active, batted himself second as the designated hitter. In the first inning, he homered off Doc Medich as Cleveland beat the Yankees. Robinson later managed San Francisco, Baltimore and Montreal. He became the first manager of the Washington Nationals after the franchise moved from Montreal for the 2005 season. The Reds, Orioles and Indians and Nationals have retired his No. 20 and honored him with statues at their stadiums.